I want to start off by saying that hemp oil is one of the most incredible products on the market today. Natures most perfectly balanced oil! There are many benefits to using Hemp oil. From younger looking skin to just a daily vitamin. Hemp seeds are saturated with protein, polyunsaturated fatty acids and insoluble fiber (meaning your body absorbs all the natural fatty acids, minerals, and vitamins). Also high in fatty acids, omega 3, omega 6. A good source of vitamin E antioxidants. Hemp seeds have an abundance of minerals such as iron, zinc, calcium, magnesium, potassium, and some microelements. Hemp seed oil increases the immune system, helps rejuvenate skin leaving it looking ageless and improves all around cardiovascular health. Unfortunately, there have been a lot of myths claiming hemp seed oil, cures cancer and such but these myths are yet to be proven. Hemp oil/hempseed oil are the same but not to be confused with hash oil. Although they are made from the same plant they have two different uses and are made from two different parts of the plant. With that being said hemp oil is NOT illegal and does NOT have mind-altering effects. Hash oil is sold in medicinal marijuana stores and does have mind-altering effects. 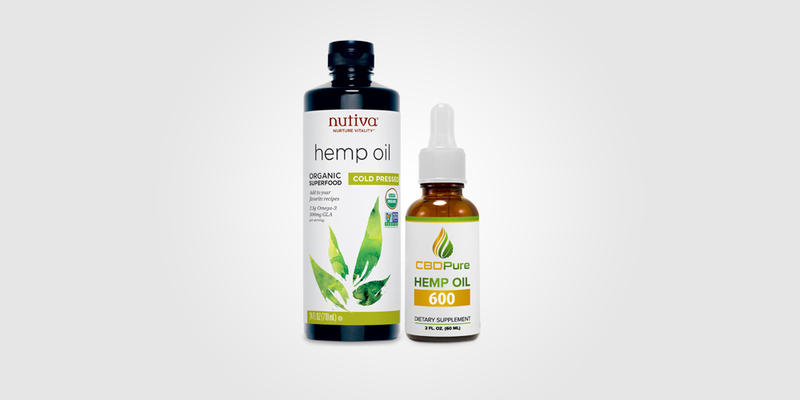 Hemp oil is a nutritional oil made out of hemp seeds. These seeds are some of the most versatile and nutritious seeds known to man. If your looking for a natural supplement to help improve your all-around health, or a more beneficial beauty product hemp oil the product for you! Hemp oil can slow the aging process: Yes! Hemp seed oil actually helps fight the aging process. There are quite a few studies that show there is linoleic acid is present in hemp oil and can actually fight the aging process. Hemp seed oil is enriched with essential fatty acids that are also present in our skin lipids, the oil helps provide moisture and elasticity to the skin by lubricating underneath the surface. You want to find something that actually helps your skin but isn’t full of cancer-causing chemicals right? Well, hemp seed oil is quite a great choice for an all natural product. Boost immune system: Omega 3 and Omega 6 fatty acids are two of the essential fatty acids and play a large role in improving immunity, also zinc is very present in the hemp seed and also known for boosting the immune system. The fatty acids help regulate the flora in the intestines. Hemp helps lower cholesterol: This is the only vegetable to contain omega 3 and omega 6 fatty acids, it helps lower cholesterol by speeding up the metabolism, burning fat faster so they are not deposited on the artery wall. Hemp oil maintains hormonal balance: Hemp seeds contain Gamma- linoleic acid, this Eventually converts into the protective hormone prostaglandin PGE1 this regulates the hormonal balance and supports menopausal health. Prevents varicose veins: With the high amount of omega 3s that are in hemp oil, it can help thin the blood which reduces blood clots and varicose veins. Hemp oil helps prevent Psoriasis: Psoriasis is a deficiency of omega 6 fatty acids, the high amounts of fatty acids in hemp oil help improve skin hydration and oxygenation. The fatty acids help reduce the redness and remove the blotchy rash. Helps prevent demyelination of the nervous system: Key fatty acids are needed for a healthy cell membrane structure. Fatty acids also prevent the demyelination (the destruction of myelin) in nerve tissues. Helps sunburns/prevents sunburns: We are getting too much ultraviolet radiation due to the ozone depletion, people compare by saying it’s like walking out into a human-sized microwave. I’m sure you can see the problem here. Although sunburns are a pain malignant melanoma is much worse. The sun protection factor (SPF) is a 6, which should be enough for most people, if not you could always add zinc oxide to help promote the SPF rate. It’s hard to protect yourself from a sunburn all the way so if you do happen to get a burn rub a little oil on the burnt surface and it will soothe the infected area. Also, try out hemp bath Soap and hemp lotion for extra relief. Hemp oil can actually be used for your hair: Using hemp seed oil on the hair is actually very soothing and nourishes the hair follicles. Promotes hair growth. It improves the scalp by provides the essential fatty acid directly to the skin. Hemp oil doesn’t have al other harsh chemicals that can ruin hair, it’s filled with a wide variety of natural minerals to give you the silky, smooth, frizz-free hair. Great for acne: Hemp’s natural fatty acids help reduce skin inflammation, thus reducing the appearance of pestering blemishes and helps prevent future breakouts. Also reliefs the redness. Hemp oil can also be used as a natural anti-fungal: Hemp oil strengthens and helps guard your skin. It has antiviral and antifungal characteristics. By using hemp oil the skin becomes stronger and will be more immune to bacterial, viral, and fungal infections. Eases arthritis pain: The immune regulating effects of essential fatty acids may decrease arthritis symptoms. Studies have been shown that long-term fatty acid supplementation can decrease arthritis discomforts and lessen the number of painkillers taken by patients. Helps improve mood: Believe it or not, another incredible benefit of the essential fatty acids is improved mood health. They have done a number of studies and have actually found out omega 3 supplementations can improve symptoms of bipolar disorder. People have also found improvements in ADD/ADHD also with autism. Essential fatty acids are serious in maintaining proper brain functions. This plays a major role in conditions such as depression, and anxiety. The recommended daily dosage of hemp seed oil is 14-28 ml (1-2 tablespoons). The dosage provides about 8 to 16 grams of omega 6 fatty acid and about 3 to 6 grams of omega 3 fatty acids. Now an excellent way to consume hemp seed oil is by adding some to soup or using it as a salad dress, you might even want to add some to your morning smoothie. If your not crazy about adding it to anything or are just in a rush to get out the door, Hemp oil can be used by just a drop on the tongue or skin, another way I have used it is adding a couple drops when baking, Warning! Hemp oil is not meant to be used to fry, it is flammable at high temperatures. Hemp seed oil is an anticoagulant: meaning hemp seed oil can have anti-clotting effects with the blood, so those of you who are currently take blood thinners or suffer from heart diseases hemp seed oil should be avoided. May inflate the risk of prostate cancer: hemp seed oil is known to regenerate the cells. This may assist the growth of tumors mainly for the prostate cancer cells. Although there’s still much research to be done health professionals are saying hemp seed oil should be avoided if you are at a great risk of prostate cancer. May cause abdominal cramps and diarrhea: if you consume more than the recommended daily dose you make become nauseous, have diarrhea or develop abdominal cramps. Children should not consume hemp seed oil but does not carry the same effect for external usage. Hemp oil is not to be used at high temperatures: the high temperatures could potentially denature the unsaturated fats of hemp seed oil and turn them into saturated fats. Meaning it will be stored as bad fat instead of good fat in the body. Saturated fat increases bad cholesterol, unlike unsaturated fat. It should not be heated so you can gain maximum health benefits. This entry was posted in Health, Organic, Products. Bookmark the permalink.